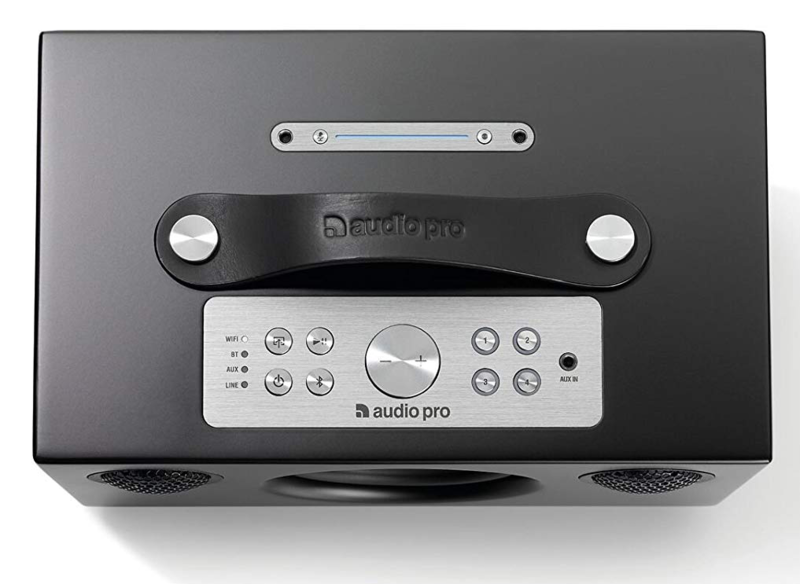 Audio Pro C5-A, more lengthily titled ‘Audio Pro AddOn C5-A Wireless Voice-Controlled Speaker’, is a versatile take on the original Addon C5 model, with an increasingly wider universe of connectivity and convenience – combining modern ‘Alexa’ virtual assistant technology with an already-high spec domestic speaker for the trendy home user. The big draw of the C5-A, and the main differentiator, is the implementation of Alexa, Amazon’s virtual voice-activated assistant. Using your voice, it turns into more of an active speaker than a stationary piece of audio equipment. Pause, play, queue, skip, ‘play Gangnam style’ (or whatever suites your musical taste). It is the new, in-vogue way of selecting your tracks. Naturally, Audio Pro has grasped the opportunity to make something of this new shift, which functions as the C5’s main draw. Similar to its leading C5 model, the C3, and the C10, etching ahead slightly higher in spec rankings, the speaker sets have traditional inputs such as 3.5mm jacks and Bluetooth – yet the C5 upwards can be brashly proud of its Bluetooth 4.0 connectivity and multi-room capability. When owning multiple of the aforementioned units, they can be wirelessly connected to form a auditory multi-room experience; a feat for any home listener. Alexa can still be used to voice-control the music from whichever room it is located in. 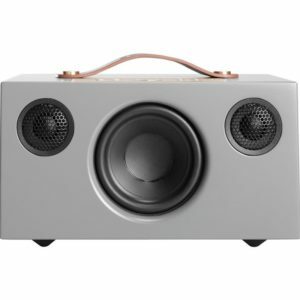 They are purposely design and engineered to be a part of the listener’s home, rather than a brazenly obvious stand-out, yet in contrast, they function with high caliber, a superb ease of functionality, and modern technology plus design that truly makes them a worthy contender for any quality listeners’ home. The C3, C5 and C10 do not come with Alexa’s voice-control. The functionality of multi-room is aided with a custom-made app, curated in-house by Audio Pro themselves: Audio Pro Multi-room; somewhat self-explanatorily. It is not style over substance with the C5-A. 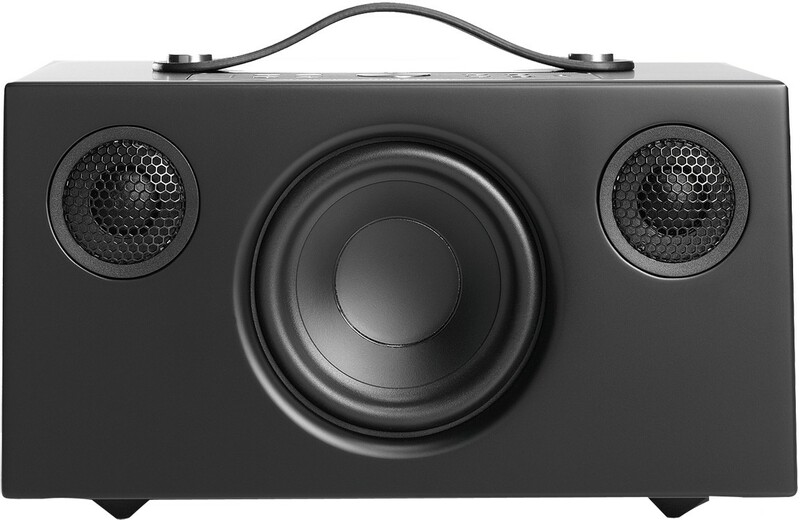 Intuitiveness and practicality aside, it is robustly kitted-out with specs that mirror higher-end speaker sets. Long throw sound is boosted via a 4″ woofer; an amplifier that maxes-out at 40W [digital class ‘D’], a textile dome tweeter [2×3/4″] – as well as a handsome frequency range of 50-20,000Hz. These tech specs are in a handle-cradled unit with dimensions of only 150mm – and choices of matte black, grey, and white. The lighter colours have contrasting, black speaker grille covers. Connectivity, as mentioned, is a huge coup for the speaker. 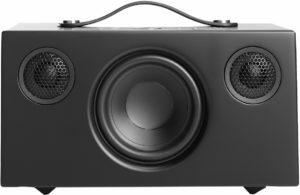 The latest in Bluetooth connectivity is partnered with superb Streaming compatibility (Amazon Music Unlimited, Spotify Connect, plus Apple Airplay, are both encompassed in the C5-A’s capabilities). With more digital radio suppliers promised to appear, TuneIn Radio is directly supported with the C5-A. In a charmingly retrospective way, it also includes an ethernet input – seem as somewhat archaic – it can be used for lossless quality reasons, and complicated technical setups. Though, the modern wireless connectivity included in the speaker’s construction must not be disregarded. In a charmingly quirky sense of old vs. new style , a fitted handle adorns the speaker’s roofing, fitted carefully above the metallic sheen of the manual user control panel, should Alexa not appeal to your usage. Also, with such versatility regarding the C5-A’s input connectivity, it could be used to connect to a modern turntable with a 3.5mm jack, allowing the user to play their oldest vinyl’s on a good quality, gorgeously modern domestic speaker. Finally, in a polite hark back to digital radio booms of the 2000’s, the set also allows for pre-saved, programmable Preset programmes to tailor the device’s performance to its users’ suitability; no need to play around with gadgets, simply choose a setting and play on. What’s on Demo at Audio Affair? © 2019 Audio Affair Blog. All rights reserved.